The host meets various farmers across Telangana and sheds light on their success stories in the field of agriculture and animal husbandry. 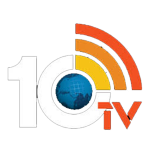 10TV is a Telugu 24-hour Telugu news channel. 10TV emerges on the horizon as an alternative. An alternative for those who look out for serious journalism. An alternative for those who want to see the real picture, the unmasked, the original and the scene behind the scene and deed behind the words. 10TV aims at a clean broadcast, responsible transmission and news that matters. Here everything is TOLD BOLD! 10TV is Available in United States, United Kingdom, Canada, Australia, Malaysia, Singapore, Europe, New Zealand, Japan, Saudi Arabia, Middle East, Qatar and UAE.